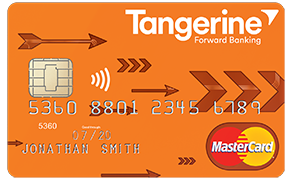 Canadian bank Tangerine has updated its Mobile Banking app today to enable Apple Pay support for its Tangerine Money-Back MasterCard credit card. Tangerine, a direct banking subsidiary of Scotiabank, is the seventh-largest bank in Canada with approximately 2 million customers as of last month. Tangerine credit cards -- no debit yet -- can be added to Apple Pay by tapping the "Add Credit or Debit Card" option in the Wallet app on iPhone 5 and later running iOS 8.1 or newer. Verification can be completed with the updated Tangerine Mobile Banking app, available now on the App Store [Direct Link] for iPhone, iPad, and Apple Watch. Apple Pay can be used virtually anywhere contactless payments are already accepted in Canada, including at Aldo, Apple Stores, Canadian Tire, Chapters, Coles, Giant Tiger, Indigo, London Drugs, Mark's, McDonald's, On The Go, Petro-Canada, Pizza Hut, Rona, Staples, Tim Hortons, and hundreds of other merchants nationwide. Apple Pay expanded to Canada's five largest banks in May and June, including BMO, CIBC, RBC, Scotiabank, and TD Canada Trust. The iPhone-based tap-to-pay service is also available to ATB Financial, Canadian Tire Bank, and non-bank-issued American Express cardholders. Update: PC Financial MasterCards can also be added to Apple Pay starting today. Come on MBNA! What the hell is taking these guys so long. President's Choice Mastercard is now supported as well.